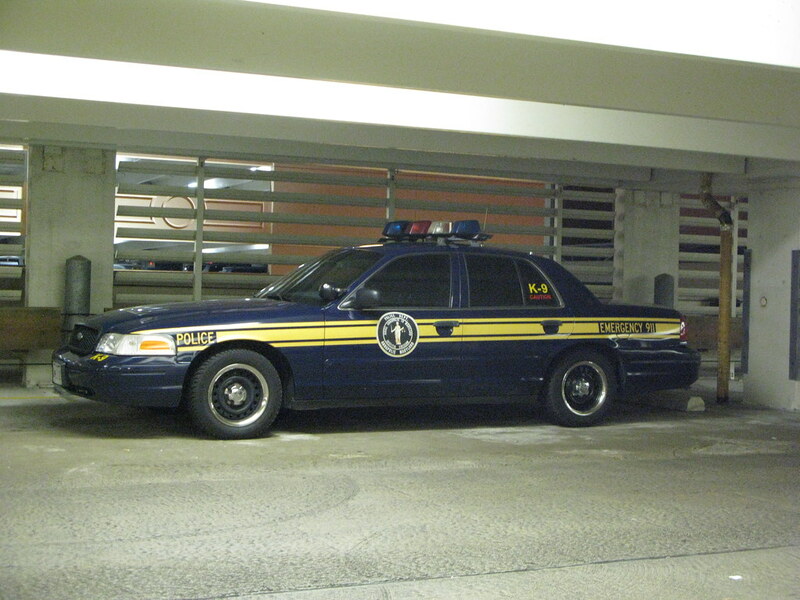 Could not figure out why this police car from an area nowhere nearby was parked in the empty parking garage. Of course we did check the doors and they were locked. There was no K-9 inside, but if there had been, we would've smothered it with love and dog treats.